The last decade has seen an explosion of publications on herbs, many of which pertain to “research evidence” on this topic. There is currently so much information in print that it is sometimes impossible to know, even for an expert in the field, what is real and what is fabricated. How much of this accumulated information is based on correct interpretation of legitimate research data and how much is based on misinterpretation of such data, is anybody’s guess. But I know many scientists and authors take too much liberty in interpreting research data. The following are a couple of common examples. The most common form of misinterpretation of data is to take the results of a single study on a limited or isolated part of an herb (such as an isolated chemical or a biological activity) and apply them to represent the whole herb. For your information, all plants have multi-active chemical components, some more active (or obvious) than others (or inconspicuous). Take Asian ginseng, for example. It has been used by the Chinese for thousands of years. 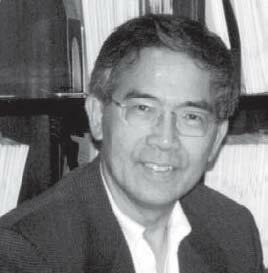 Dr. Leung is author of the Encyclopedia of Common Natural Ingredients Used in Food, Drugs, and Cosmetics (Wiley-Interscience), which was published in 1980 and revised in 1996. He is also creator of PHYTOMED, a prototype computer database on Chinese herbal medicine developed under contract with the National Cancer Institute. The Shen Nong Ben Cai Jing (Shennong Herbal), published 2,000 years ago, describes Asian ginseng's actions as “vitalizing the five organs, calming nerves, stopping palpitations due to fright (mental stress/disturbance), brightening vision, improving one’s intellect, removing xie qi (“evil energy” or pathogenic factors), and with long-term use, prolonging life and making one feel young.” Even after all these centuries, these are still considered the major properties and uses of Asian ginseng! I have already discussed the difference in properties and uses of Asian and American ginseng (this Newsletter, Issue 3, pp. 2-3) and the quality of ginseng products (Issue 4, p.3 & Issue 9, p. 1). Although the two are both tonics, American ginseng is cooling, and most suitable for people with too much yang, while Asian ginseng is warming and most suitable for people with too much yin (see the previous issues for details). Modern science has discovered many active constituents in ginseng, along with their many pharmacological effects. The most well-known, active compounds include polysaccharides and saponins (ginsenosides). American ginseng and Asian ginseng both contain ginsenosides (over 2 dozen), but they differ in their concentrations and relative proportions. These saponins also differ in their pharmacologic effects (mostly in laboratory animals) which include CNS-stimulant, CNS-tranquilizing, hypoglycemic, hypotensive, hypertensive, hypolipemic, antihepatotoxic, antipyretic, anti-fatigue, anti-psychotic, stimulating sexual response, and numerous others. The polysaccharides also have their own pharmacologic effects that include hypoglycemic and immunoregulating. All these results indicate that ginseng is indeed a true traditional tonic with no specific single obvious effect like a typical modern drug. Instead of leaving these research findings alone to serve as collective evidence of ginseng’s traditional tonic properties, some scientists and authors seem to feel compelled to speculate and extrapolate. The end result, when the information reaches the consumer, is that ginseng itself (not a particular ginsenoside, polysaccharide, or extract) now has all these specific pharmacologic effects (hypoglycemic or antidiabetic, stimulant, tranquilizing, liver protectant, hypotensive, antitumor, cholesterol lowering, etc., etc.). Ginseng may well exhibit certain of these effects under certain conditions, but in its whole form, it simply does not contain enough concentrations of the specific chemical compounds to elicit such effects. It always bothers me to read reports by colleagues (some quite distinguished and should know better), which state that such and such plant or herb has antitumor, anti-atherosclerotic, or other effects of current interest, yet in fact only a specific chemical component or fraction of the plant was actually studied; this component in most cases has no relevance to the herb as it is commonly known and used. Or an extract of an herb has a certain pharmacological activity, but the report does not tell you what extract was used. Since an alcohol extract is quite different from a water extract and even more so from a hexane or vegetable oil extract, one can’t correlate this result with the herb at all. But the problem again is when it reaches the lay press, the herb now has gained a new pharmacologic effect! Another common example is ginger. If it were an exotic plant from the Amazon, Africa, Polynesia or other hot spots, it would have been promoted as a cure-all to American consumers by now. All the elements are there for misinterpretation and misinformation. Thus, in the “wrong hands” (and there are many), ginger would have the following pharmacological effects: antimicrobial (various volatile oil components), spasmolytic (borneol, myrcene), analgesic (borneol, gingerols, shogaols), diuretic (asparagine), antihistaminic (citral), lipotropic (lecithins), antiinflammatory (a-curcumene, borneol), antihepatotoxic (gingerols, shogaols), hypotensive (1,8-cineole, gingerols), hypertensive (shogaols), cardiotonic (gingerols), antipyretic (borneol, gingerols, shogaols), antitussive (shogaols), and insect repellant (geraniol, myrcene, p-cymene), etc. The listed activities are those of the chemicals in parenthesis, which can hardly be extrapolated to represent ginger itself. There are just too many such publications around (both technical and popular), which make it impossible to tell whether an herb or plant drug does indeed have the particular pharmacologic effect as reported. With the increasing interest in natural medicines and botanical supplements, some criteria and guidelines need to be set up for reporting results of herbal research in order to reduce misinformation and useless information. Leung, A.Y. and S. Foster, Encyclopedia of Common Natural Ingredients Used in Food, Drugs and Cosmetics, Wiley-Interscience, New York, 1995, pp. xi-xvii. Whether one’s interest is in their traditional properties and uses or their serving as source of new chemicals for drug, cosmetic, or nutritional applications, one must first understand that Chinese herbs are different from Western herbs. A wrong approach may result in loss of valuable time and money. Identification of Chinese herbs cannot simply rely on correct Latin binomials and conventional voucher specimens alone, as routinely practiced in botany, and now so proudly advocated by followers in the herbal industry. The fact is that the plant species itself is often not the problem. The key is the particular plant part and how it has been treated before it is delivered to the manufacturer or consumer. It doesn’t matter if you have the conventional voucher specimen of the whole plant (with leaves, stems, flowers, fruits, roots, and all). Often the herb or drug (e.g., cured root) from this plant species has no resemblance to the voucher specimen, unless the specimen is a genuine specimen of the cured root itself. Thus, for example, cured rehmannia, cured fo-ti, red ginseng, fuzi (cured lateral root of Aconitum carmichaeli), and mume or smoked plum (Prunus mume) have no resemblance to their respective parts of the conventional voucher specimens. Correctly identifying them requires more than conventional voucher specimens. Practical training and experience with the actual herbs constitute the first step. Organoleptic examination is then a must, which, in the hands of an experienced technician, is enough to assure the correct identity and quality of an herb. If necessary, microscopic examination and chemical analyses will complete the task. However, chemical analyses frequently need not be elaborate. A simple, old-fashioned thin-layer chromatographic (TLC) pattern will suffice. For those who are interested only in the traditional properties and uses of herbs, organoleptic and microscopic comparisons with a genuine specimen of the herb along with a satisfactory matching of a TLC pattern of its appropriate extract are sufficient. Here again, I feel the obligation to dispel the general misconception that we must analyze an herb for its “active” principle. The fact is that there is usually more than 1 active chemical or chemical group in an herb; and most of the time, we don’t even know what they are. With some Western herbs, such as cascara, belladonna, digitalis, and ipecac, their active components are well established. In these instances, it is logical and appropriate to determine the concentrations of these active principles in the herbs. On the contrary, with very few exceptions, Chinese herbs (especially tonics) usually have numerous active chemicals. Analyzing one or one type of these active chemicals will miss the others that may be more important for the herb’s effects than the one being analyzed. Consequently, if you are only interested in the active chemicals rather than the herbs themselves, I recommend you consider Chinese herbs simply as source of these chemicals, and go after them. But if you are interested in isolating active principles which represent the therapeutic properties of the herbs as they are traditionally employed, then you must take into account the traditional method of their preparation. Arbitrarily extracting specific types of chemicals from the herbs would only give you the specific chemicals that may have none of the pharmacologic effects of the herbs themselves. Hence, depending on your intention, it is important to take the appropriate approach to evaluating herbs. For those scientists who have not been trained in the overall aspects of Chinese herbal medicine, the easiest approach to acquiring active chemicals is to perform a chemical screening of herbs to look for chemicals with certain desired pharmacologic activities. Instead of trying to obtain an active compound or fraction that possesses the activity of the herb, one goes after compounds that may have completely different bioactivities than those of the herb. This is fine because in this case we are not trying to prove the efficacy of the herb, but rather to acquire new active chemicals. But even in this endeavor, it helps to know something about the correlation between traditional properties and modern pharmacologic effects, as it will help narrow the search down to a manageable level. Here are some common correlations that may be helpful: dispelling wind (antirheumatic or antiarthritic), removing toxins and heat (antiinflammatory, antipyretic, antimicrobial), removing evil qi (antimicrobial), softening lumps (antitumor), tonic (immunomodulating, antioxidant), and others that are more obvious. Once an herb is selected, chances are that there are more than one active chemical or chemical type from which to choose. Leung, A.Y. and S. Foster, Encyclopedia of Common Natural Ingredients Used in Food, Drugs and Cosmetics, Wiley-Interscience, New York, 1995, pp. 526-528. There are many Chinese herbs commonly used for cardiovascular problems, such as coronary heart disease, angina, arrhythmia, hypertension, atherosclerosis, hyperlipemia, Raynaud’s disease, congestive heart failure, fibrillation, etc. The more well-known ones include: danshen or red sage (Salvia miltiorrhiza root/rhizome), honghua (safflower flower), kudzu root, sanqi (Panax notoginseng root), astragalus root, dangshen (Codonopsis pilosula root), Asian ginseng, Sichuan lovage (Ligusticum chuanxiong rhizome), danggui (Angelica sinensis root), chishao or red peony root (Paeonia lactiflora), jiangxiang (Dalbergia odorifera wood), shanzha or Chinese hawthorn, duzhong (Eucommia ulmoides stem bark), chrysanthemum flower, ganoderma, garlic, baizhu (Atractylodes macrocephala rhizome), schisandra berry, maidong (Ophiopogon japonicus rhizome), lycium fruit, zexie (Alisma orientale rhizome), fo-ti (raw and cured Polygonum multiflorum root tuber), purslane herb, kushen (Sophora flavescens root), huaijiao (Sophora japonica fruit), juemingzi (Senna obtusifolia or Senna tora seed), tangerine peel, rehmannia (raw and cured Rehmannia glutinosa root tuber), puhuang or cattail pollen (Typha angustifolia or Typha orientalis), lotus leaf, huzhang (Polygonum cuspidatum root/rhizome), and fuzi (Aconitum carmichaeli prepared lateral root). Their functions range from cardiotonic to antiarrhythmic and hypolipemic. All except fuzi are mostly mild medicines with little or no known adverse side effects. Even fuzi (which has been carefully cured to drastically reduce the toxic effects of raw aconite) is quite safe when used properly. Although some of the above herbs I have listed are for treating the more serious heart problems (e.g., astragalus, danshen, dangshen, maidong, kushen, and sanqi for coronary heart disease and arrhythmia;1 Sichuan lovage, danshen, honghua, chishao, and jiangxiang for angina; 2 etc. ), most are used for milder conditions that eventually may lead to more serious ones. The following 2 common conditions can be helped with some of these herbs and their combinations. (1) Y.C. Chen and Q.L. Ying, “Huang Qi Si Shen Decoction in the Treatment of 80 Cases of Premature Contraction in Coronary Heart Disease,” Shaanxi Zhongyi, 18(9): 386 (1997); (2) Y. Wang et al., “Effect of Guan Xin No. 2 Formula on Hemorheology,” Shiyong Zongxiyi Jiehe Zazhi, 10(15): 1427-1431(1997). Herbs for Hypertension. – Chrysanthemum flower, kudzu root (Issue 3, p 3), and duzhong are a few of the most commonly used herbs for treating high blood pressure. Chrysanthemum flower – It is one of my favorite herbs to recommend for hypertension because it is simple to use (Issue 1, p. 2). Simply place a few flowerheads in a pot of boiling water and let it steep for a few minutes. If you like, you may sweeten the tea with honey or sugar. And you don’t need to have high blood pressure to enjoy it either. Herbal pillow – I am not that up-to-date on aromatherapy, and I don’t know what culture started it first. But I know the Chinese for centuries have been using herbal pillows for treating various illnesses, and I keep a file on them. I have never tried any of these remedies myself because I personally would not want my bed to smell (or should I say reek) of herbal medicines. However, in case some of you are into aromatherapy, here is an herbal pillow treatment for hypertension. Fill a small pillow case (about 20 cm X 30 cm) made of loosely knit cloth with the following coarsely ground herbs: 150 g Sichuan lovage (chuanxiong), 35 g chrysanthemum flower, and 85 g mulberry leaf (dried). Sleep on your side with your ear resting on the pillow. Normally, herbal pillows are much bigger and are to be used like regular pillows. But this is specially made for proximity to the ears. You don’t need to press your ear directly on the pillow. Rather, you can make an indentation in the middle of the pillow and let your ear sink into this, to avoid a sore ear in the morning. In addition to hypertension, it also helps headache and dizziness.3 One word of caution: watch for allergies! So far, I have not come across any reported, but you never know. It is better to be safe. (3) X.F. Ji et al., “Chuanxiong/Chrysanthemum Ear Pillow for Treating Hypertension and Other Conditions,” Zhongguo Baojian, (12): 38(1997). Herbs for Hyperlipemia – Apart from the ones also well known to Westerners (e.g., garlic and hawthorn), there are many common Chinese food/herbs that are effective in reducing blood lipids. Here are a few: lycium fruit, fo-ti (both raw and cured), juemingzi, shanzha, chrysanthemum flower, danshen, tangerine peel, zexie, huzhang, purslane herb, huaijiao, and mung bean. Most of these can be regularly and safely consumed. The following are 3 simple remedies that one can try. Juemingzi – This herb has been around for a long time, being listed in the Shennong Herbal (circa 200 BC – 100 AD) as a superior herb. It is the seed of Cassia obtusifolia or Cassia tora (syn. Senna obtusifolia or Senna tora). It is not only effective in reducing serum lipids (total cholesterol and triglycerides) and increasing HDL-cholesterol, but also in lowering high blood pressure. 4,5 The dose levels for this herb range from 4.5 g to 50 g. The higher doses are mainly for treating constipation. For hyperlipidemia, 5 to 20 g per day are used. Simply fry the seeds in a frying pan at medium to high heat until they turn darker and emit an aroma. After cooling, break them into a coarse powder and save for later use. Each day take 5 to 20 g and make a tea with boiling water. Drink this every day for at least 1 to 2 months before you can expect any results. If loose bowel occurs, reduce the dose until bowel movement is normal. If you tend to constipate, you may use a dose on the higher side. Also, you may add an equal amount of tea or chrysanthemum flower to the juemingzi if you prefer. Both juemingzi and chrysanthemum flower are readily available from Chinatown herb shops or groceries. Cured fo-ti – Place 30 g (~1 oz) of cured fo-ti in 300 ml (~10 oz) water and boil for 20 min. Take the liquid (150-200 ml) and drink it in two portions during the day. It is reported to take effect in 20 days.6 Cured fo-ti is available in Chinatown herb shops. Be sure to ask for the tonic, and not raw fo-ti, the cathartic. Cured fo-ti normally comes in slices, sometimes quite thin, and should be very dark brown to black; it is breakable by hand. Raw fo-ti usually comes in big pieces, sometimes whole, very hard and light brown to light pinkish brown; not breakable by hand. Lotus leaf and green tea – Place 10 g of each herb in a teapot of boiling water. Let it steep for 10 min. Then drink it throughout the day, adding more boiling water if needed. This can be used year round on a long-term basis. Lotus leaf is one of the most commonly used ingredients in Chinese diet formulas. It is available in Chinatown groceries and herb shops. It is used as a wrapping for lotus rice. The best way to prepare it for the tea is to break or cut it into small pieces and save for later use. Leung, A.Y. and S. Foster, Encyclopedia of Common Natural Ingredients Used in Food, Drugs and Cosmetics, Wiley-Interscience, New York, 1995; Leung, A.Y., Better Health with (Mostly) Chinese Herbs & Foods, AYSL Corp., Glen Rock, N.J., 1995. (7) C.H. Wang, “Oral Berberine Treatment of 34 Cases of Arrhythmia,” Shaanxi Zhongyi, 18(9): 388-389(1997); (8) W. Chen, “Clinical Observations on Berberine Treatment of 31 Cases of Ventricular Premature Contraction Previously Resistant to Other Drug Treatments,” Shiyong Zongxiyi Jiehe Zazhi, 10(15): 1458-1459(1997); (9) S.J. Song et al., “Berberine Treatment of Pregnancy Complicated Arrhythmia – Clinical Observation of 16 Cases,” Jilin Zhongyiyao, (5): 19(1997).